The provision of housing in South Africa was described as one of the country’s biggest challenges in 1994. But what is the situation now? How many houses have been delivered? And how many more are needed? 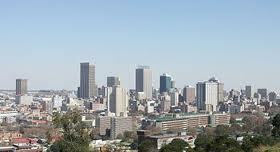 This factsheet looks at the housing situation in South Africa. How big is the housing backlog? A 1994 housing white paper described providing housing to the South Africa’s citizens as one of the greatest challenges facing government. It estimated that the urban housing backlog stood at about 1.5 million houses and that the backlog was growing at a rate of 178,000 units a year. The 1996 national census revealed that 1.4 million shacks or informal dwellings remained in the country. This represented 16% of the 9-million households in South Africa at the time. 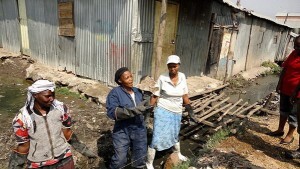 By 2011, the census showed that the number of shacks and informal dwellings had increased to about 1.9-million. However, this then represented about 13% of all households in the country – a decrease of three percentage points since 1996. Africa Check a non-partisan organisation which promotes accuracy in public debate and the media. Twitter @AfricaCheck and www.africacheck.org. The Social Housing Regulatory Authority (SHRA) Publications is a South African regulatory organisation formed with the mandate to deliver affordable rental housing, and regulate social housing institutions and the private sector. The SHRA has published an impressive list of resources and studies on their website on social housing. 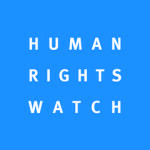 hrw.org. May 2014. This 81-page report documents the hardships faced by families who lose their homes after defaulting on mortgage payments amid Spain’s economic recession and massive unemployment. The report is based on in-depth interviews with 44 women and men who have experienced or were facing eviction, civil society organizations, and government officials. 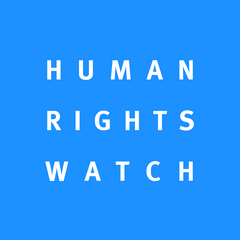 Immigrants, women who head households or are victims of economic abuse from a former partner, and children are among the affected groups, Human Rights Watch found. allAfrica.com. May 2014. Why is there not enough affordable rental or social housing for the poor in our cities? As the Constitutional Court’s Grootboom decision highlighted, cities should be read as shorthand for well-located spaces that provide access to economic and social opportunities for the poor. 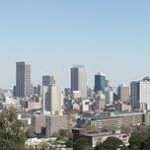 This lack of affordable and well-situated rental or social housing accommodation is not unique to South Africa. There are many urban centres in the world where land has run out and state support is insufficient to keep up with demand, let alone plan for the future. There is also an obsession with ownership that has borne witness to the large scale selling off of rental stock. South Africa has also seen large-scale sales of social housing by municipalities, perhaps more in response to the operational challenges presented by the cost of on-going maintenance and challenges linked to non-payment. Savage Minds is a group blog devoted to ‘doing anthropology in public’ — providing well-written relevant discussion of sociocultural anthropology that everyone will find accessible. Our authors range from graduate students to tenured professors to anthropologists working outside the academy. Savage Minds was founded in 2005. In 2006 Nature ranked Savage Minds 17th out of the 50 top science blogs across all scientific disciplines. In 2010, American Anthropologist called Savage Minds “the central online site of the North American anthropological community” whose “value is found in the quality of the posts by the site’s central contributors, a cadre of bright, engaged, young anthropology professors.” In 2014 we hope to have our blog deposited into the National Anthropological Archives at the Smithsonian. The title of our blog comes from French anthropologist Claude Lévi-Strauss’s book The Savage Mind, published in 1966. The original title of the book in French, Pensée Sauvage, was meant to be a pun, since it could mean both ‘wild thought’ or ‘wild pansies,’ and he put pansies on the cover of the book, just to make sure readers got the pun. Lévi-Strauss was unhappy with the English title of his book, which he thought ought to have been “Pansies for Thought” (a reference to a speech by Ophelia in Hamlet). We liked the phrase “savage minds” because it captured the intellectual and unruly nature of academic blogging. 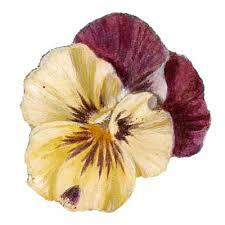 As a result, the pansy has become our mascot as well. May 2014. Like most of Oxfam’s supporters, two months ago you could have said the words ‘international development’ or ‘aid’ to me and I would have pictured rural, not urban communities. But while the bulk of Oxfam’s work overseas is still focused on poverty in rural areas, a slow shift is now taking place, some might argue too slowly. The face of global poverty is changing rapidly. Poverty is now growing faster in urban rather than rural areas. UN Habitat estimates that by 2030 about 3 billion people, or about 40 per cent of the world’s population will need proper housing and access to basic infrastructure like water and sanitation systems. To achieve this, we’d need to build 96,150 new housing units per day on serviced and documented land starting right now. But as an aid agency, what do we do in the meantime? With this question in mind, last month I was in Nairobi, Kenya to visit Mukuru slum and learn about one way Oxfam is responding, through a brilliant new sanitation project in schools with local partner Sanergy.